If your locks have been damaged considerably due to a recent break - in it is very important to take care of them as early as possible. Repairing or rekeying locks are one of the options, but if the lock has been damaged beyond repair, then it is best to install new locks. By installing new and improved locks you can keep out the criminals and make your property safe from other external threats. Even if your locks have not been damaged but you feel they are becoming weak because of constant use or because they are old, you should seriously consider installation of new locks. Old locks can be easily compromised and are vulnerable to many threats, including the threat of a burglar. It is very easy for a burglar to forcefully open an old lock but if you install new locks at your premises that provide higher security and are less prone to vandalism and breakage, then you are at a smaller risk of being robbed. Get in touch with Estate Locksmith Store and we will send an expert your way who will help you with the installation of new locks that best suit your requirements. Installing new locks at your property does not involve spending a fortune. At Estate Locksmith Store we understand that our customers have a set budget for everything and that is why we give them a lot of quality options to choose from. We have the finest products from the biggest national and international brands and to install new locks and for other services we only charge the customer very reasonable prices. 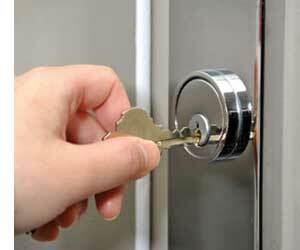 Dial 253-948-9786 if you want Estate Locksmith Store’s services to install new locks at your property.